Senior citizens at a party on Saturday organised by Uckfield Lions. 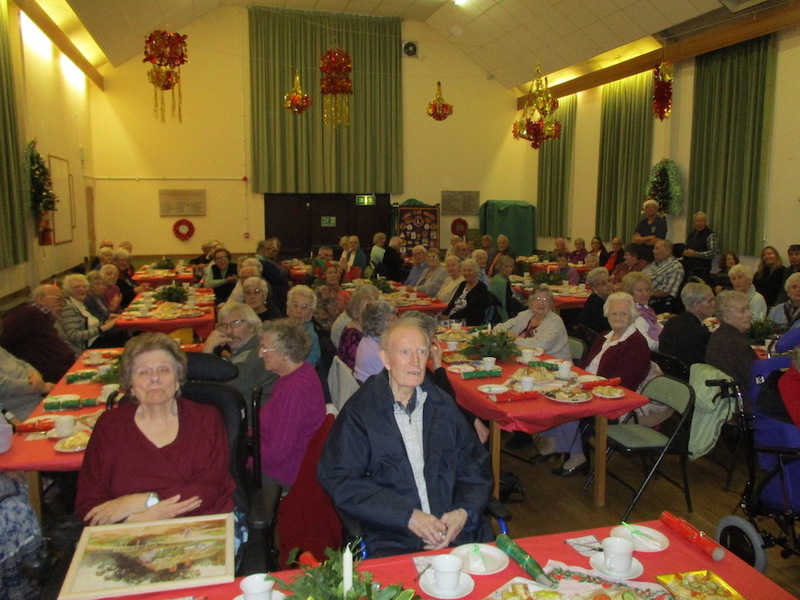 About 80 people enjoyed a senior citizens’ Christmas party on Saturday which was organised by Uckfield Lions. It included an afternoon of entertainment, bingo, singing and afternoon tea. Lion members and partners decorated Nutley Memorial Hall, laid out tables, and prepared sandwiches, sausage rolls and cakes. A Christmas tree was decorated and surrounded by presents. Lions president David Skinner welcome guests and Framfield Stagers put on a show with a pantomime horse, comedy sketch, country music and dancing. All guests were given a raffle ticket ready for a draw where the first prize was a Christmas Hamper donated by Uckfield Co-operative Funeral Care. There were many other prizes of chocolates, wine and novelties. Father Christmas handed out gifts to the guests as they left at the end of the afternoon.